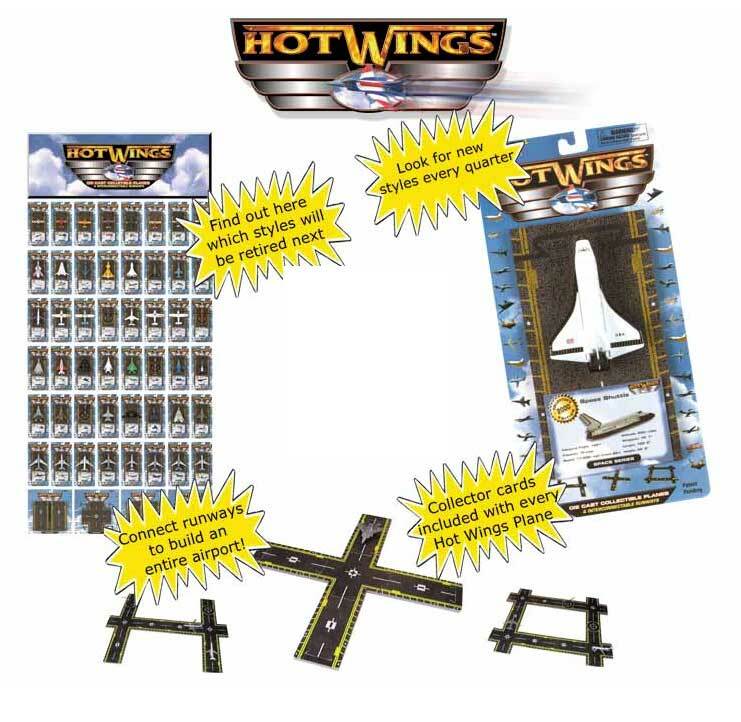 Hot Wings Collectible Planes is an exciting line of diecast toy airplanes and accessories. Every Hot Wings plane comes with a collector card, plus proprietary connectible runway system that allows collectors to build their own runways and airports. Seven distinct series, dating from the earliest Bi Planes to the newest Space Planes, plus taxiways and hanger accessories, make Hot Wings the most exciting collectible planes available.